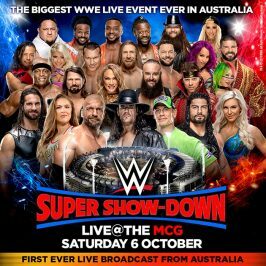 WWE is returning to Australia with WWE Super Show-Down, a historic event taking place at the Melbourne Cricket Ground (MCG) on Sat 6 Oct, featuring the largest roster of WWE Superstars and Legends ever to appear in the country. 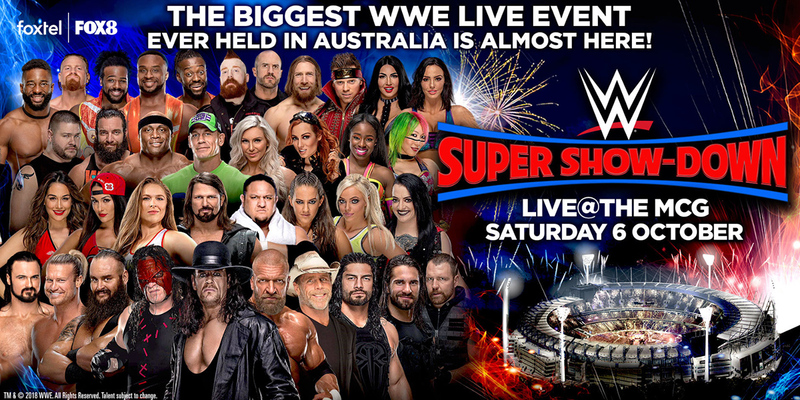 WWE Super Show-Down will be one of the biggest sports and entertainment events of the decade, and to celebrate this historic event, we are giving away six double passes. 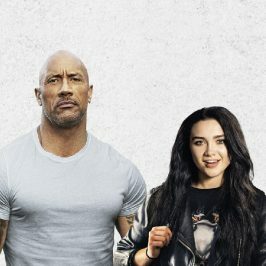 Open to Australian residents 18+ who are Foxtel residential or Foxtel Now customers (or reside in a customer household and have the customer’s permission to enter). Entry limited to once per day per entrant provided each answer to the entry question is unique. Travel to the event not included. Competition opens on 28/09/18 at 17:00hrs and closes on 01/10/18 at 09:00hrs (AEST). Total prize pool value is $1,590.60. Winners determined on 02/10/18 at 13:00hrs (AEST) and notified by phone/email. Terms and conditions available here. 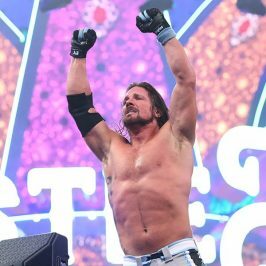 Promoter is Foxtel Management Pty Ltd of 5 Thomas Holt Drive, North Ryde, NSW 2113.